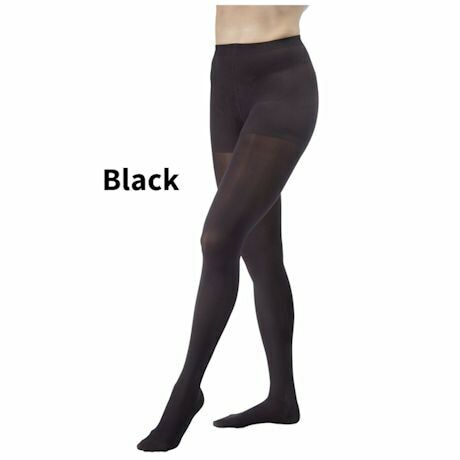 Buy 3 or more for just $119.99 per pair! Soft and Smooth Opaque stockings provide a fashionable look with excellent cover-up to conceal blemishes, varicose veins and scars. Exceptionally resilient multi-fiber yarn and unique knit structure offer easier on/off. Stays up all day without constriction. Reinforced heel and a non-elastic toe for greater durability and lasting comfort. Opaque, non-binding with fully fashioned waistband and cotton gusset. 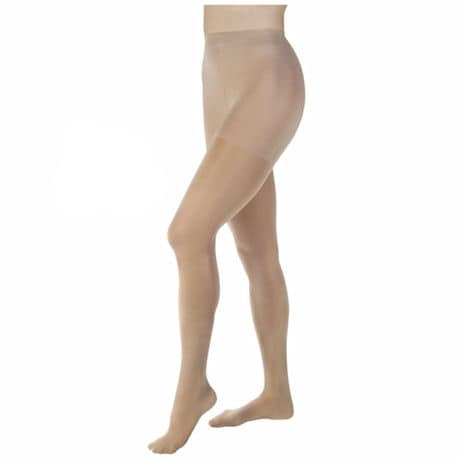 Very Firm compression 30-40 mmHg. Specify size: See Chart. 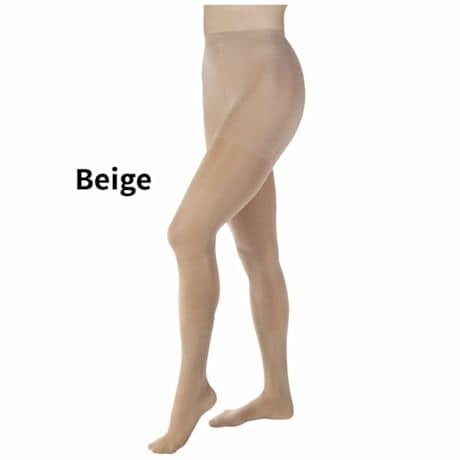 Nylon 66% Spandex 34%. Item can only be shipped within the Continental US.